Cleaningsure - Cleaning Services based in Surbiton, Surrey. The company has been established as family run business, but along the years we have created a lot of trusted customers. 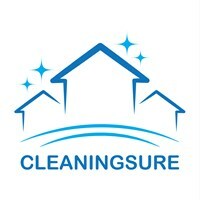 "Cleaningsure" the name that is synonymous with prosperity and quality. Our staff is fully checked and vetted. The cleaners are trained to the highest standards. Our cleaners are happy to help with all kind of jobs. Servicesure offer the best balance between competitive price and excellent quality. We use 100% safe and effective products. We offer a wide range of cleaning services; residential and commercial cleaning. We can arrange the best package for your, no matter your need - daily, weekly or fortnightly. Our main priority is your satisfaction. We'll make your place bright and shine. For any questions, we'll be more than happy to help!